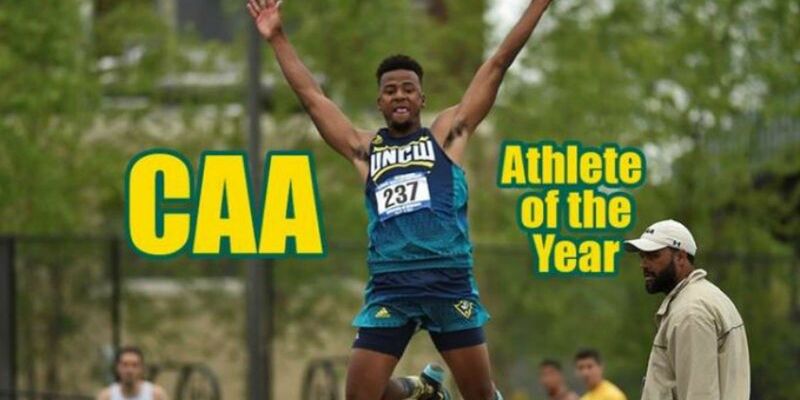 WILMINGTON, NC (WECT) - UNCW's Moe Holmes and William & Mary's Taylor Frenia shared the CAA men's track and field athlete-of-the-year award, the league announced Monday. Holmes, a junior, captured three gold medals and a bronze at the CAA Championships last month. He won the triple jump, high jump and long jump while taking third in the 110 hurdles. "It's a well-deserved honor for Moe," said Layne Schwier, UNCW head track and field coach. "Moe is a tremendous athlete and he did at the conference meet was a tremendous feat. He's also a strong leader for our program and we look forward to seeing what he can do next year as a senior."